1. Liverpool convincingly dealt with Man Utd yesterday and Dirk Kuyt will never, ever score an easier hat-trick. It was very surprising to see Fergie start with Paul Scholes and Michael Carrick in central midfield – recent history has normally seen him go with three in the middle in big matches in an attempt to gain control and stop the opposition playing. Neither Scholes nor Carrick are particularly energetic or mobile in the way Darren Fletcher is, but with the Scotsman left on the bench after his shift against Chelsea (he can only do one big game a week) it meant United were unable to gain a foothold on the game. As you can see in the Chalkboards below, between them they won only one tackle and the likes of Meireles would consistently run or pass around them. Only one interception between them too. The decision to give Carrick a new contract during the week was greeted with some derision but at the same time I don’t think Ferguson considers him a first choice player. He’s not bad against weaker sides and he has long been found out against the best – playing him yesterday was more out of necessity than want. Still, with his continued mediocrity, Scholes’ potential retirement, Fletcher’s one game a week effectiveness and Hargreaves and Anderson’s consistent injury problems, Man Utd’s midfield will certainly need some work in the summer. 2. Yesterday’s match could have easily seen two red cards, and probably should have. 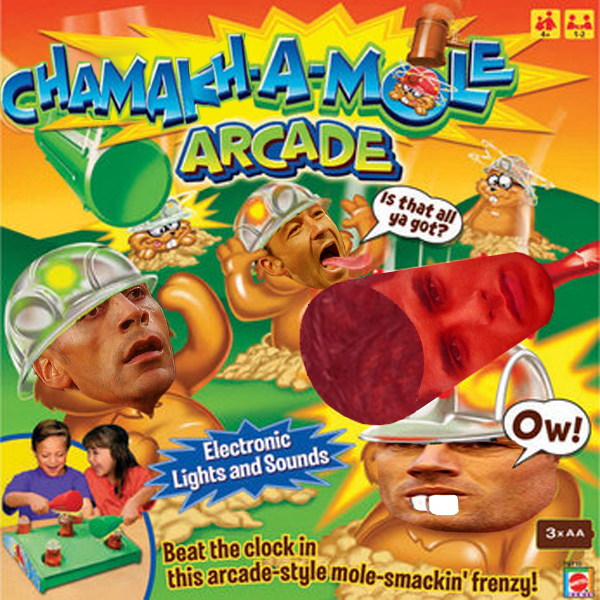 Carragher went in high on Nani and created quite the wound (see below) while Rafael was similarly lucky to stay on the pitch following his wild lunge on Lucas. There is something to be said for a referee to take into account the situation and the context, but really Phil Dowd made errors in giving both players just a yellow. Interestingly, Rafael is developing quite a reputation as someone who may not have the temperament (or indeed the positional sense) to go with his natural talent. A red card would have meant his third in under a year, while he was nowhere near where he should have been when Suarez tip-toed through the United defence for the opener. Recently Ferguson has seemed to prefer someone more dependable in tough matches, with Rafael being omitted against Man City, Chelsea and Marseilles. It will intriguing to see when the Brazilian next plays again, I imagine he might find himself out of the team for a few weeks. 3. In the context of yesterday’s result, it is difficult to say whether Arsenal’s draw against Sunderland is a point gained or more likely two points dropped. Wenger’s team have struggled in recent seasons against Sunderland having won only one of the last six games, so it was always going to be tricky without out several players and against one of the best defences outside the top five. Wenger had a similar problem to Fergie in that first choice midfielders weren’t available so he was forced to play Denilson and Diaby alongside Wilshere. They can usually get away with one of those in the team but having to play both meant it was one of those days where the team struggled to get going, Wilshere unable to do all the tempo setting himself. Sunderland were lucky to get away with Bramble clearly fouling Arshavin in the box and a goal incorrectly ruled out for offside but having said that they also had their moments and drew a couple of very smart stops out of Szczesny. I would think that once Aaron Ramsey has a bit more fitness under his belt, he will swiftly move ahead of Denilson and Diaby in the pecking order. He might not have the same experience but he makes things happen, and in a game like Saturday’s and indeed for the run in, that could be priceless. 4. Momentum at this stage of the season is key so it’s fascinating to see who is making a move at the bottom end of the table. Just nine points separate ninth place Newcastle from bottom placed Wigan but realistically it’s looking like everyone from Blackburn downwards are the ones who should be worried. Things are swiftly grouping together for a climatic last few games and as the old cliché goes, a couple of wins and “you’re right back in the mix” (© every pundit going). I’m willing to condemn Wigan already to be honest, they’re tough to beat but they don’t win many either. As I’ve written here many times before, draws can be rather useless at times and a team like Blackpool who either win or lose has a far better shot and getting the points needed to stay up. Almost good enough, but not quite. 5. Of the teams not in that bottom group, Stoke are looking a little vulnerable. They’ve won just one of their last seven and still have to play four of the top five. They seem to have a slightly resigned air about them at the moment – certainly away from home where they’ve lost their last six (and not even scored in the last five). The earlier point about momentum is key – they face Newcastle, Spurs and Chelsea next. Fail to win the first one and you could be looking at mid-April before they are favourites in a match, by which time they could be in a much more serious position. I do think they should be ok, given the cushion they have, but it wouldn’t at all be surprising to see them need something against Wigan on the last day. 6. Jermain Defoe has only just scored his first league goals in a year. If he fulfils Harry Redknapp’s wish and gets to ten by the end of the season, then it will go a long way to ensuring Spurs finish in the top four again. As it is, the lack of a striker in double figures for 2010/11 may be what costs them. Van der Vaart’s ten goals should complement not lead. That was the weekend that was. Newcastle vs Arsenal deserves a post in itself! 1. Fernando Torres certainly had a Chelsea debut to forget and it will be interesting to see how Carlo Ancelotti fits him in for the rest of the season. The switch to a diamond midfield with Torres and Drogba playing as a pair up front wasn’t a surprise but it was strange to see Nicolas Anelka given the nod in the hole behind them. I assume the theory was that Lampard’s strength is arriving from deep, something which would be negated if he played at the head of diamond. Chelsea’s success over the past few season has come through playing 4-3-3 and you can’t fit Torres and Drogba in that system and get the best of both. Torres of course needs time to adapt; despite his price tag you can’t just expect him to instantly understand his new team-mates way of playing. But, given how Chelsea are quickly becoming involved in a battle to maintain a top four position as well as trying to engineer another attempt at the holy grail of the Champions League, Carlo Ancelotti will have his work cut out to solve this conundrum quickly. 2. In contrast, Torres’ old team are on quite the run of form at the moment. After overseeing a defeat to Blackpool, Kenny Dalglish has quickly turned things around with some innovative, or should that be retro, tactical moves. Three at the back has long been out of vogue but Liverpool have used it successfully to stifle the aerial bombardment of Stoke, and now the technical probing of Chelsea. Contrasting attacks but the same result – a convincing clean sheet. The beauty of playing 3-5-2 with wing-backs is that in theory it can work so well – they offer solidity in defence by forming a five but options in attack when pushing forward. I don’t see Glen Johnson working well long-term on the left but it seems to be successful for the time being. Of course Dalglish has the same problem as Ancelotti in trying to fit £50m worth of strike force into his team but you feel it will be a little easier with the players at his disposal. Close enough. 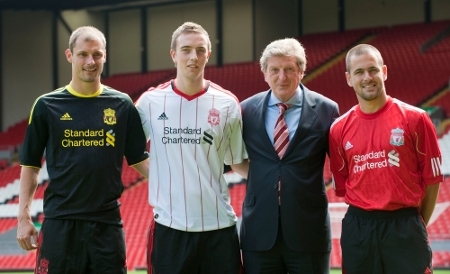 Though if this was Stoke they'd play all four. 3. Niko Kranjcar’s winner for Spurs against Bolton should give Harry Redknapp some reminder of the talents at his disposal. Notoriously poor at rotating, Redknapp is very much one to stick to the same players until the they get injured or he just doesn’t fancy them anymore. Kranjcar has been one of the unlucky ones this season with just six appearances to his name, totalling a measly 235 minutes. So much so that ‘Arry bought a similar player in Pienaar in the transfer window, simply because he was available rather than any great need for him. The whole point of a 25 man squad is to use it, not least when you’re competing at the top end of the table and the Champions League. Perhaps he’d find that when he does have to turn to them, they might perform better if they’ve had a few games under their belts. 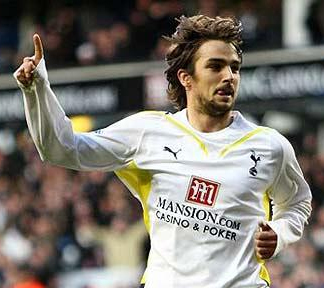 Niko Kranjcar, Spurs player. Sometimes. 4. Following Chelsea and now Man Utd losing to Wolves this season, Arsenal’s 2-0 victory at Molineux is looking better and better. It must be frustrating that Mick McCarthy can get fantastic performances against the big sides but then lose to those around him. As with last season, it will be a close run thing whether Wolves go down but there are certainly worse teams in the league this season. They have yet to play either match against West Brom and those two games look like being crucial in determining which of the two sides will be relegated. I certainly don’t think both will stay up. 5. Bolton have now lost six straight away games. What was looking like a promising Europa League push is turning into a mid-table season. Part of the reason must be that the previously red-hot partnership of Elmander and Davies have one goal each since late November and Chung-Yong Lee, who had six assists has been away at the Asian Cup. With that in mind the loan signing of Sturridge looks to be a good move both for player and club. Already he’s taken on some of the attacking responsibility with two goals in two games. He’ll be sure to want prove that he’s good enough to be at Chelsea next season and that motivation can only benefit Bolton. After all, this time last season Jack Wilshere was embarking on a similar loan and is now a starter for Arsenal and in the England squad. If Sturridge can get the goals to fire Bolton to 7th, Bolton may even have a shot at keeping him permanently. 6. Ten games produced 43 goals this weekend. 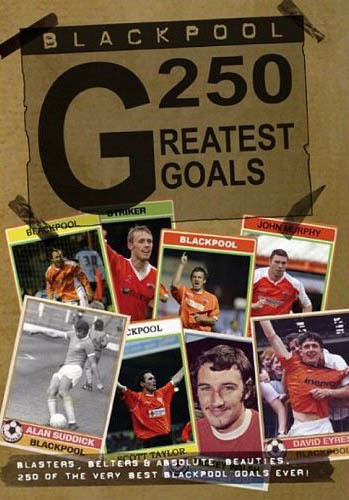 As ever, Blackpool played a big part in that and their 25 games this season have seen 87 goals at just three and half a game. I wouldn’t want Ian Holloway to change his approach at all, but for the sake of Blackpool having another season in the top flight, I’d love them to get a 0-0 away from home once in a while! They'll need an updated version after this season. Arsenal’s new striker Marouane Chamakh has settled in very well since moving over from Bordeaux, scoring five goals and showing off some well rounded hold-up play. He has certainly added another dimension to the Arsenal attack and it will be interesting to see what happens once Van Persie and Bendtner are fully fit. Meanwhile his gelled mullet and avatar-like neck lend themselves well to some good Photoshop opportunities. SUCCESS! I got 3rd place this week which means I win a copy of Peter Storey’s autobiography True Storey: My Life and Crimes as a Football Hatchet. He would certainly be useful in today’s Arsenal squad. The rest of the gallery is here. Would Quite Like: A fully fit Fernando Torres firing them back into the Champions League. 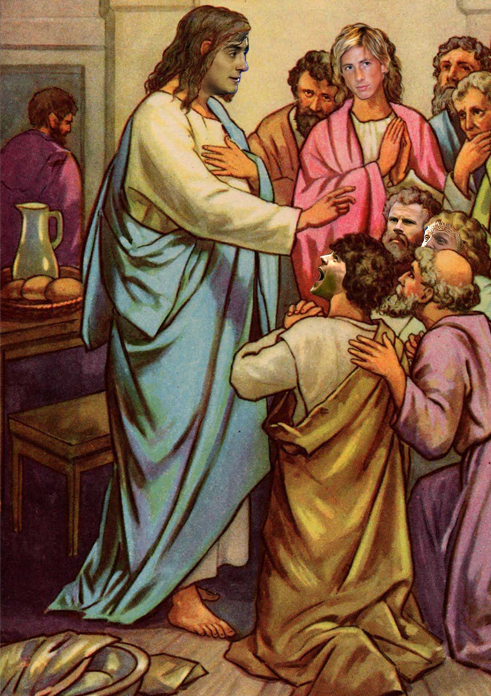 Alberto Aquilani to show he’s worth £20m. Thoughts: Last season was a dreadful one for Liverpool. Benitez seemed to have lost the dressing room, Torres again played only 20 games and off the field problems were mounting as it was clear that Hicks and Gillett had no money, which in turn meant Rafa had none either. The summer has seen something of a shake-up take place with Roy Hodgson and his safe pair of hands takeover. He did brilliantly at Fulham and I fully expect him to reinvigorate Liverpool too. People seem to forget that their first XI is actually pretty damn good and were last season hampered by tactical tinkering and injury. While Mascherano will probably be sold, his main appeal was the job he could do in Europe against the very best and that isn’t an issue this season. I don’t think he’ll be missed in games against Stoke, etc. It looks like Gerrard will drop back and Joe Cole will play behind Torres. This could be quite successful, Gerrard wasn’t exactly a bad central midfielder while Cole gets to realise his long held ambition of playing as a No.10. Let’s see if he can do it. The wide players aren’t as creative as some but Kuyt and Jovanovic are consistent. I think Liverpool’s defence is a good shout to be the tightest this season – solid across the back four and one of the world’s best keepers behind them. If Hodgson is known for one thing then it’s organisation where every player knows his role. Left back is a slight concern but they’ll manage with Aurelio and Insua if he stays. Fulham players moaned about repetitive training but appreciated that it got them results as they were so hard to break down. I predict the same with Liverpool this year given they have better players. 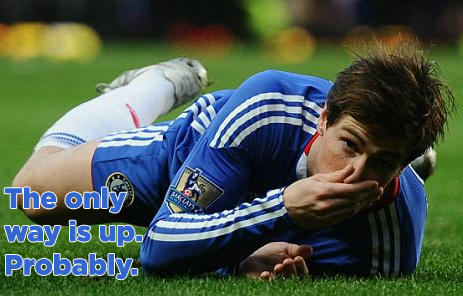 True, they are a Torres injury away from struggling in front of goal but with Hodgson sides, one goal is often enough. It won’t be boring but it won’t be super exciting either, somewhere in the middle instead. This effectiveness should see something of a renaissance and 5th place. WINNER: Another week, another £100 first place prize! 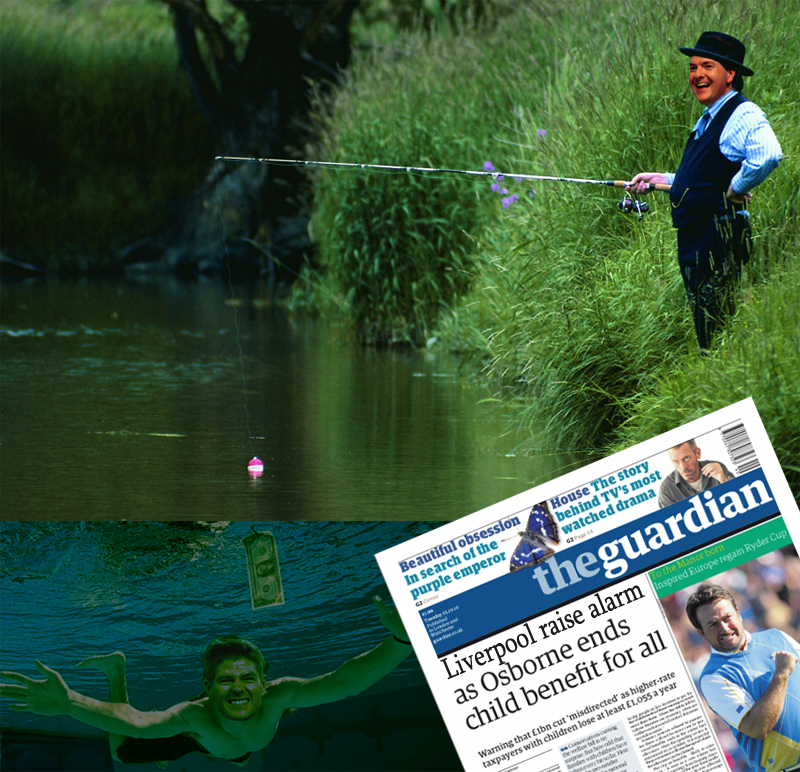 England’s opening World Cup was indeed this week’s Photoshop theme in the Guardian. 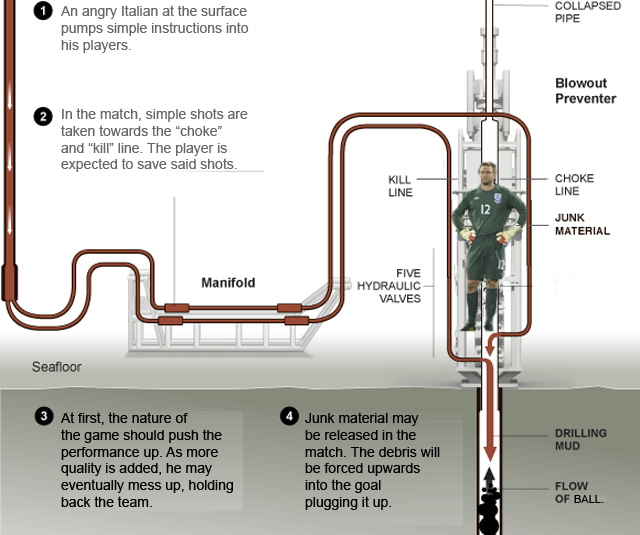 Hard not to focus on Rob Green really. 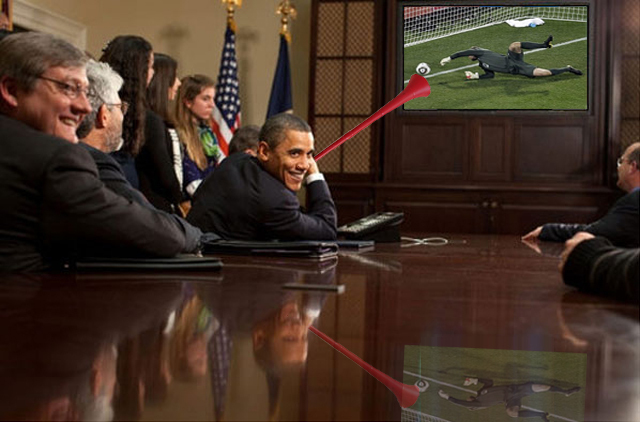 Obama was pleased at managing to influence the super high stakes game of straw football. A new year, and a fresh new photoshop to begin it with. Liverpool midfielder Alberto Aquilani was the theme this week, so plenty of options given that he was injured for ages, Rafa Benitez never starts him and that he looks a bit lightweight whenever he has played. The rest of this week’s gallery can be found here. After all the fuss and furore surrounding Darren Bent’s the beachball’s winner against Liverpool, it was inevitable that this would be the theme in this week’s Guardian Photoshop comp. As we all know, it shouldn’t have been given, which makes it all the more funnier that it was! Lots of different things you could do – I went for a slightly leftfield entry as you can see below. Seeing as there's seemingly no problem with inflatables being on the pitch, Rafa's taken the opportunity to increase the much maligned squad depth at Liverpool with a few bargain signings. Plenty more entries can be found in the rest of the gallery here. Say hello to your new teammates: Alberto Aquilani, Glen Johnson, Chris Mavinga. Close the door on your way out: Xabi Alonso, Alvaro Arbeloa, Sebastian Leto, Jermaine Pennant, Sami Hyppia, Jack Hobbs. Predicted star: Fernando Torres. Lethal when fit, Liverpool will hope that he plays more than 24 games this time round. If he manages 30 games he should be top scorer, given his record of 0.67 goals per game in his Premier League career so far. Needs a big year: Alberto Aquilani. I mean this in the sense that Xabi Alonso’s boots are hard to fill, especially considering how he played last season. He’s out for 4-8 weeks so will need to hit the ground running once he gets fit. Glen Johnson will also need to justify a £17m price tag. The number of weeks before he plays. One to watch: Emiliano Insua. I was impressed by him the few times I saw him play in the latter stages of the season and given that Aurelio is out until mid September he has a great chance to establish himself early on. Rafa surely won’t play Dossena ahead of him? Right? What they want to happen: A first league title in 20 years and with it sole ownership of the overall record. Nightmare scenario: Man Utd win number 19. Plan A: Solid organisation in the back four with two deep lying midfielders ahead of them. Kuyt and usually Benayoun working hard down the wings and Stevie G playing just off Torres. More expansive play down the flanks is planned with the signing of an attacking full back like Johnson. Plan B, just in case: Let Gerrard shoot from distance late in games and make Andy Gray squeal in delight. Why? But for seven disappointing home draws last season, Liverpool would have won the title at a canter. Rafa Benitez had finally found a formation that worked and with it stopped the tinkering. Gerrard found in his best position and essentially plays as a second striker these days. Most of all Xabi Alonso resisted Liverpool’s attempts to sell him and had his best season in five years at Anfield. The defence first policy was also somewhat abandoned and Liverpool were the top scorers with 77 (two per game). The thing is though I can’t see Liverpool repeating the heights of last season. Alonso is a big, big loss and I don’t think Aquilani will offer the same kind of skills (though he be a good player for them). Luckily Liverpool’s start is very easy so it will cover his injury and the need to play someone like Lucas to begin with. As ever, a lot will depend of the fitness of Gerrard and Torres. They both seem susceptible to several niggly injuries a season rather than one big one. Three of four periods of missing a few weeks soon adds up though and it was telling that they only played something like 14 games together. Though the first team is very strong, the squad is still quite average I would say and many of the replacements are nowhere near the level required. If you look at some of the other players who have left (Hyppia, Pennant, Arbeloa) you can see that they’re not great but whoever stands to replace them are only going to be at the same level, not an improvement. Up front especially you just have Torres, two potentially good youngsters in Nemeth and N’Gog and nothing else. A new striker (to replace Keane no less) is definitely a priority. Liverpool will be up there and even though I have them 4th, they will be within 10 points of the title. Glen Johnson will help turn some of those home draws into wins but I think once again, the wait for number 19 will continue. That was the weekend that was. 1. I had a hunch that this was the case when I was watching the Boro – Arsenal game on Saturday and it has turned out to be true. In eight seasons at Arsenal, Jeremie Aliadiere scored one league goal. In a season and a half at Middlesbrough he has now scored twice against his former employers. 2. 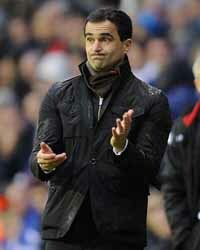 Will either Mark Hughes or Paul Ince be given the chance to reinforce in January? 3-1 says Hughes won’t while 100-30 on says Ince will be going to the job centre next. 3. Three weeks ago all of the Big Four failed to win for the first time in over a year. This weekend they did it again. 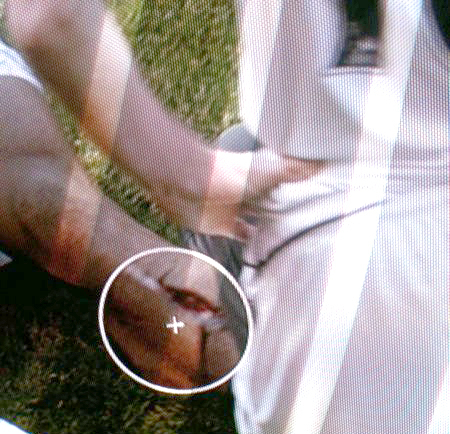 Could Aston Villa mount a title challenge because of this? If Arsenal beat Liverpool next Sunday they are ‘only’ five points behind them. Yet if Villa also win their game against West Ham, they would only be four points behind and sitting pretty in third place. There are plenty of questions to ask of the title challengers. Will Liverpool continue to struggle without Torres? Will Chelsea find a plan B considering that the opposition have now worked out that to stop Chelsea, you stop Bosingwa and Cole? Will Man United be affected by the long haul trip to Tokyo and the lack of Queiroz’s defensive/tactical nous? Will Arsenal continue beyond January without reinforcements that are better than Song Diaby and Denilson? And what of Aston Villa? Do they have the squad to challenge? First choice XI’s are great until they get injured, and you have no one to turn to. Just ask Arsene Wenger. a) Bring on striker Robbie Keane, a man who cost you £20million in the summer, and who with Fernando Torres out injured is your most senior striker. b) Bring on defensive midfielder Lucas Leiva, a man with no league goals for Liverpool. If your answer was ‘b)’ then you are Rafa Benitez. Congratulations. Image of him scoring not available. 6. It seems Tottenham’s obsession with Arsenal holds no bounds. Don’t these images of their proposed new stadium look suspiciously like the Emirates? Same size, same idea of a corporate name, same design. They’ll definitely have space to build it next to White Hart Lane, goodness knows there’s nothing else round there.